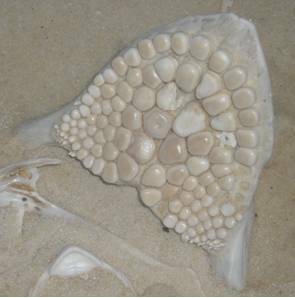 Fossil Fish are very common in both fresh and salt water fossil deposits in Florida. Two basic types are found here, the Chondrichthyes (cartilaginous fishes; rays, skates and sharks) and Actinopterygii (bony fishes). The fossil record for these two groups goes back to the Paleozoic Era, but begins in Florida during the Eocene Period. By the Eocene Period, both groups are well evolved. 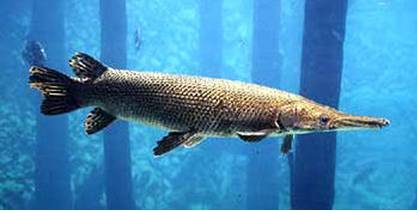 The cartilaginous fishes backbones do not fossilize as well as the harder Bony Fishes backbones do. 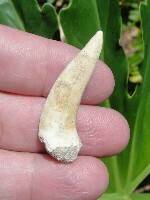 Therefore, it is rare to find any back bone material of a shark, skate or ray, and more commonly you find fossil teeth. 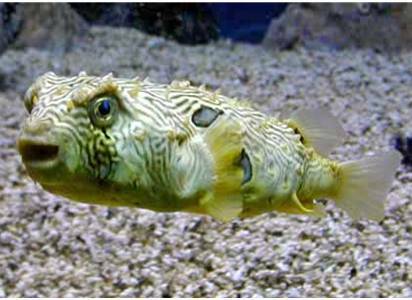 The bony fishes of Florida cover a wide variety of niches, including fresh, brackish and salt water. Identifying these different types of fish lends itself to key indicators of past paleo-environments. The most abundant ones that are found in Florida are the common variety of fish, sharks and rays that live in the environments close to shore. -CLICK on each picture below to learn more.